Mr. Rehak’s drive for operational excellence, since joining COKeM in 2001, has culminated in an industry-leading reputation. 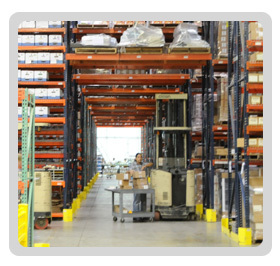 Mr. Rehak oversees COKeM’s logistics, fulfillment, e-store services, warehousing and assembly operations. In 2012, he spearheaded the company’s ISO 9001 certification process, thereby establishing a complete quality management system for COKeM and its customers, and broadening COKeM’s propensity for third party logistics customers. Prior to COKeM, he held VP of Operations positions at Zomax Inc. and Padco, Inc. in Minneapolis, and corporate management positions at Heavy Diesel, Inc. in Dallas and Dealers Manufacturing in Sioux Falls.